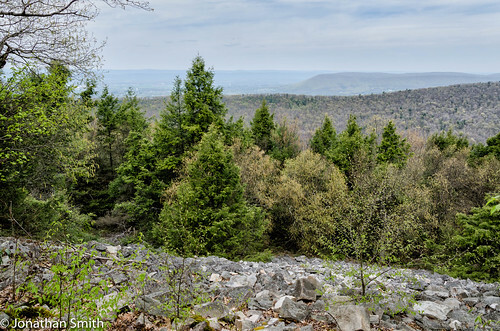 Today’s hike took me along part of the Mid State Trail in Center County near State College. 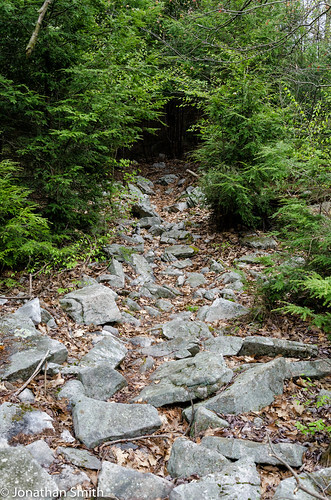 Access to this trail can be found in several areas. 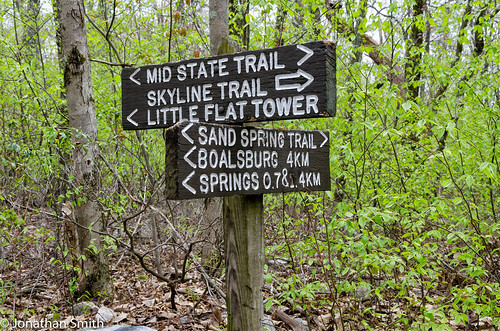 I chose to access the trail from Laurel Run Road behind the Tussey Mountain ski area. 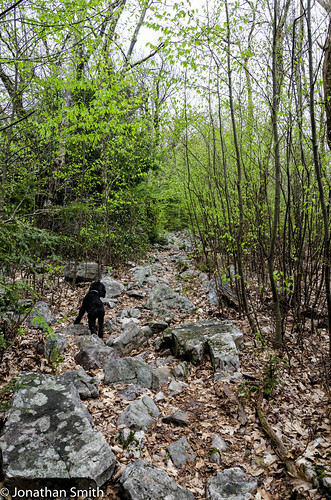 This section of trail is extremely rocky so a good pair of hiking boots is necessary. 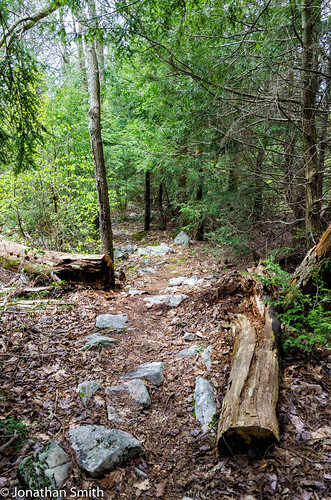 The trail offers a rocky hike across the top of the mountain with views along both sides.